As always I started by measuring out all of my ingredients, I like to work like a TV chef and have all my ingredients pre-measured around me in little dishes, if only I had some sort of production team to take care of this for me and the subsequent dishes. I started off by softening the butter in a large mixing bowl with my electric whisk. Once the butter was soft and creamy I added the sugar and mixed until light and fluffy. 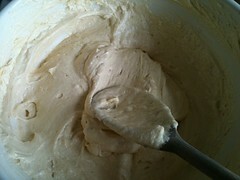 Then pre-mixed the eggs and vanilla in a separate bowl and gradually added it to the sugar/butter mixture. The book mentioned that if the mixture starts to look curdled or split then add a tablespoon of flour. Mine did look a bit split at this point but the tablespoon of flour sorted it right out. Once the egg, sugar and butter were all combined, I started sifting the flour into the bowl bit by bit. I put my electric whisk down at this point and folded the flour in with a wooden spoon. 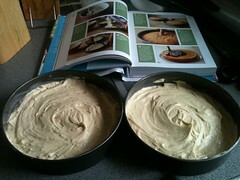 According to the book this helps keep air in the mixture and makes for a lighter cake. 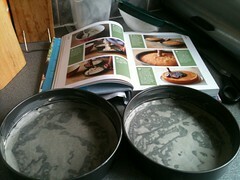 I then carefully cut out two circles of greaseproof paper and lightly greased the cake tins with butter. I then split the batter between my two cake tins, you can either do this by eye (as I did) or you can weigh them to be even more precise. 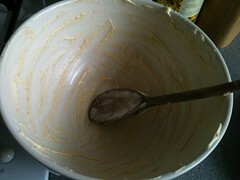 Who can actually resist licking the bowl, its the best bit! After 20-25 minutes (mine were in for 24 minutes) I popped them out of their tins and onto a cooking rack. My tins have loose bottoms (oh-er) and are really easy to pop out. I also have some handy spring-form ones which I love, but I didn't have two the same size. 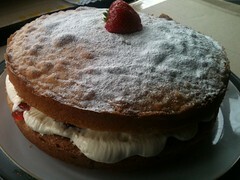 I decided to go old-school and fill the middle with strawberry jam and fresh cream. 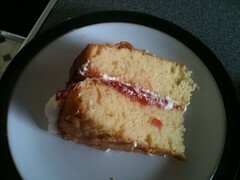 Although I was told by my taste-testers afterwards that butter-cream would have made for a less sickly cake. 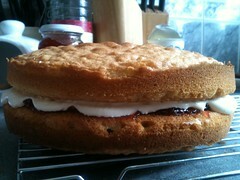 The recipe book actually only had Jam in their filling but where is the fun in that? Topped off witha light dusting of icing sugar and a strawberry. Perfect! Topped off with a strawberry. It was delicious! 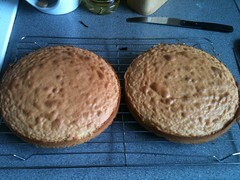 Light and fluffy in the middle, crisp and firm on the outside, it didn't crack on the top (which my cakes usually do). Overall I am very impressed! I do believe this recipe lives up to its over-ambitious name! Highly recommended. 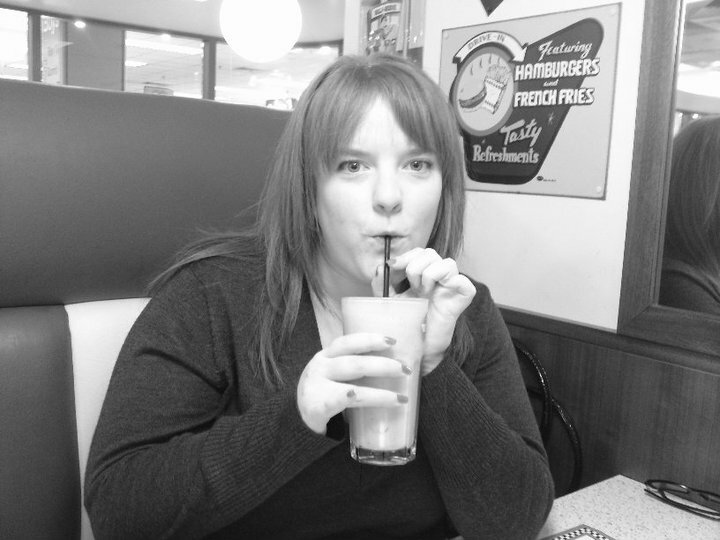 I also cooked some other delicious things over the weekend, so keep an eye out for some delicious blog posts to come. 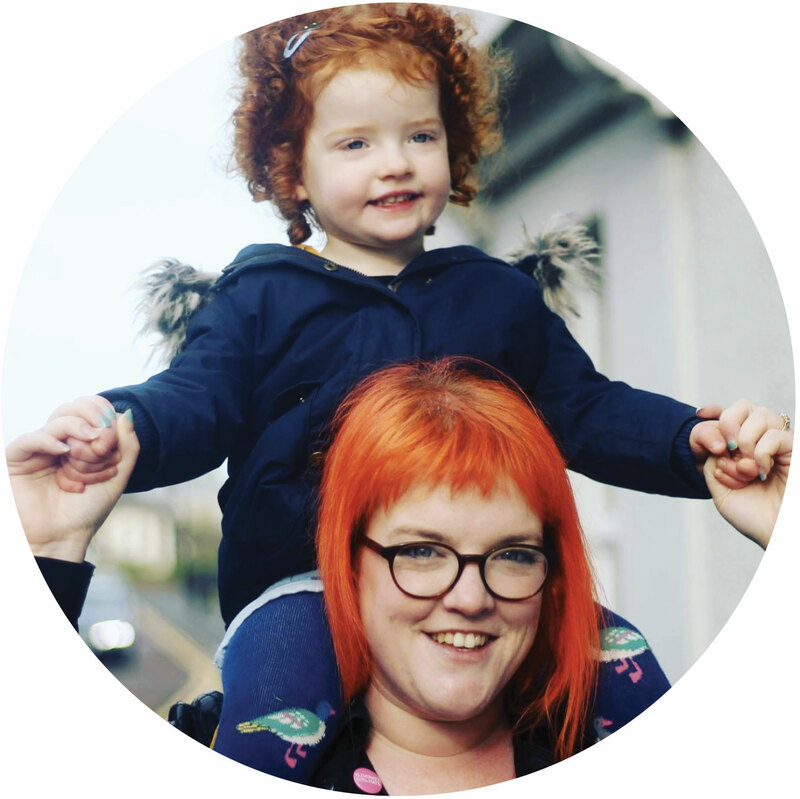 If anyone is interested, "The Great British Bake Off" is being re-aired on BBC2, Tuesday nights at 8pm starting on the 16th August. I've been thinking about buying both of these books, would you recommend them? 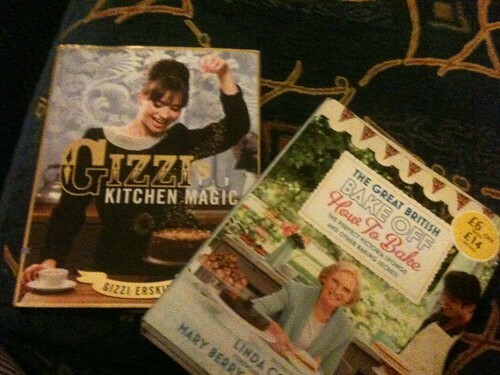 I'm finally moving into a flat with a decent kitchen so I'm looking for a book to celebrate with! And your cake looks SO good. I would definitely recommend the Great British Bake off one. It is great especially if you are not the most confident baker, the instructions are very clear and there are pictures of all the various stages. Also the recipes themselves look amazing! I am itching to try more. 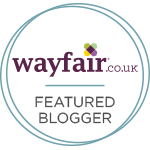 Yummers, I tried the Mocha Chocolate Cake and the Self Saucing Chocolate Fudge pudding this weekend from GBBO. Yum! Sounds delicious! Might have to give it a go in the summer.